A computer search on the PubMed database, followed by manual verification of the records retrieved, identified a total of 235 papers on the topic of endoscopic ultrasonography (EUS) published in English from July 2004 to June 2005 (electronic publications ahead of print are not included). Many papers were also published on transbronchial, laparoscopic, mediastinoscopic, and transrectal (rigid probe) ultrasound, but these are not covered in this review. It is reassuring to note (Figure [1 a]) that original articles represented the largest proportion of the research output on EUS (100 papers, 42.5 %); unfortunately, none of these were reports of randomized trials. Original research papers clearly outnumbered other types of publication: case reports, small case series, and letters (82 papers, 35 %), as well as reviews and editorials (53 papers, 22.5 %). The relatively high number of reviews is partly due to the January 2005 issue of Gastrointestinal Endoscopy Clinics of North America, which provided an extensive and up-to-date coverage of the field in the form of 15 tutorials. It is significant that almost half of the papers (46 %) dealt with various applications of EUS-FNA. Among the many journals publishing studies on EUS, three titles clearly stand out due to the high number of original papers published - Gastrointestinal Endoscopy, Endoscopy, and the American Journal of Gastroenterology, with 27, 13, and nine papers, respectively (Figure [1 c]). Notably, as many as 13 % of the original papers appeared in thoracic surgery or respiratory journals, reflecting the increasing role that EUS is playing in the management of non-small-cell lung cancer (NSCLC). 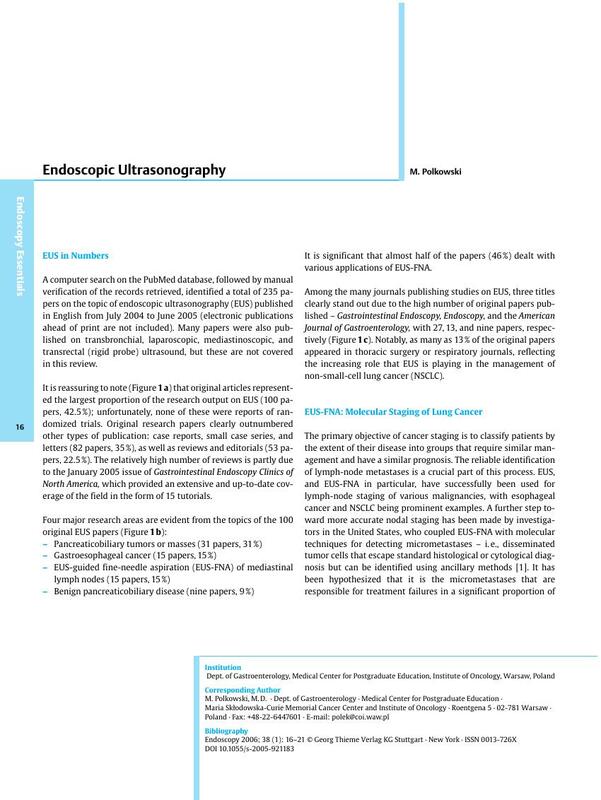 Figure 1 Papers on endoscopic ultrasonography published in English from July 2004 to June 2005. a A total of 235 papers broken down by publication type. b A total of 100 original papers broken down by topic. c A total of 100 original papers broken down by publishing journal.